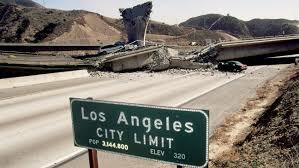 Twenty-five years ago, just before dawn on Jan. 17, 1994, the Northridge earthquake struck. Those of us who lived it, remember distinctly the chaos of that morning. The quake caused $25 billion in damages and killed dozens. Northridge was an event that disrupted the lives of people in the Greater San Fernando Valley extensively. The damage was widespread and affected freeways, buildings, and other infrastructure. Every time an earthquake such as Northridge strikes, we are forced to realize just how unprepared we are. We know that another quake will strike sometime in the next 30 years. The “Big One” or San Andreas earthquake will unsettle the lives of everyone in Southern California and it might take us years or even decades to fully recover. Think about how different your lives are today from then. Most of us didn’t have cell phones, and the internet was still in its infancy. How dependent are you on the internet? Is your company equipped and ready to operate without it? That said, to survive a major earthquake, it’s important that you prepare your life and your company to weather the quake. Stock up on water, food, medicine and make sure you have somewhere to go, in-case you cannot stay in your home. It is imperative for all citizens of Los Angeles work out some sort of emergency plan. Then your need to prepare your facility when the “Big One” strikes.